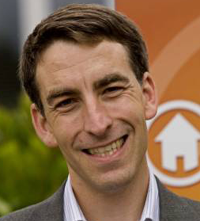 Redfin CEO Glenn Kelman is an occasional contributor to TechCrunch. And when he does take the time to write a guest column, they are certainly worth reading. In this post he laments cheapskate founders who trickle tiny amounts of equity down to early employees, and presumably he’s taken his own advice with the now-profitable Redfin. See his earlier posts Entrepreneur 2.0 and Good Question! The Eight Best Questions We Got While Raising Venture Capital. When we split the atom, Einstein remarked that everything changed but our way of thinking. You could make the same argument about acquisitions and option pools. As Mark Suster recently noted, employees will never see a big payday at most startups unless the company shoots for the moon. This is probably why investors’ case for a company to sell early focuses exclusively on the founder: in most early-stage acquisitions, the liquidation preferences and deal-sweeteners only work for investors and founders. Back when some companies sold at $50 million and others went public at $250 million, we could all agree that this was just how the cookie crumbled. But now that we live in a world where early-stage acquisitions are the only outcome to which most startups aspire, we have to re-allocate this smaller cookie. The elephant in the room is that that founders and CEOs take almost all of it for themselves. I’ve looked at three or four deals recently as an adviser; in every case, the founder or CEO was taking more than half the company for himself, and leaving 10% for everyone else. Why aren’t we surprised when three months later that company can’t hire enough engineers? Even when the company succeeds, the big-shot with the big payday may regret it. The difference between $10 million and $20 million in practical terms — whom you can date, where you can go, what you drive — is zero. But if you give an extra $10 million to the folks who fought shoulder to shoulder with you, everyone will feel better about what you accomplished together. You want your startup to end like Trading Places, with Eddie Murphy, Dan Aykroyd and their butler sipping drinks on the beach. Now consider what would happen if the same company raises another $10 million, expands the employee option pool to hire more executives and to support 300 people. It is worth $250 million at the time of a public offering. There is no liquidation preference, severance payment or earn out. Everyone is paid according to the number of shares he owns. The executive team still gets 10%, but now splits it among 5 people. Each executive gets $5 million. The remaining 290 employees own 10%, with the first 100 employees hired getting the lion’s share, of say $200,000 each. The point is not that this is a better outcome for all. Any fool would take the higher price if he knew he could get it, but you don’t know when or whether you ever will. The point is that employees at least stand a chance at a nice gain when a company is built to last, whereas founders benefit disproportionately from a quick flip. So in a world of more quick flips, we need to increase the size of options pools, eliminate liquidation preferences – which just get picked up in subsequent rounds of financing by new investors, who screw the old ones — and provide better acceleration for everyone. Otherwise, nobody will want to work for a startup. But the reverse is happening. VCs want their pound of flesh, and entrepreneurs do too. In fact, the 20% of company ownership that was once considered the standard allocation for executives and other employees is now more likely to be at 10%. If we’re all a little less greedy now, we’ll build bigger companies later and everyone will make more money, and feel better about it too.